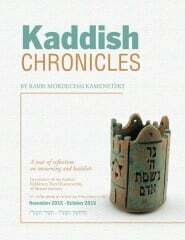 Varying Talmudic and Medrashic opinions argue as to what exact sin they committed. Some commentaries interpret the literal verse by explaining that Ahron’s children rendered a Halachic (Biblical law) decision in front of their master, Moshe. Others say that they performed their service after drinking wine. Still others argue that their true punishment was deserved at Sinai. They refused to marry claiming that their lineage was so dignified that no maiden could ever meet their standard. Another interpretation is that they began to discuss their future leadership roles that they would secure after the two old men (Moshe and Ahron) passed on. In all these varying opinions a major question must be addressed. If those were their actual sins, why then did the Torah use the terminology “a strange fire that Hashem had not commanded” to describe their transgression? Obviously those words are fit to describe each interpretation that is offered. How? Perhaps there is a common thread among all the explanations of the sins of Nadav and Avihu. In all of the opinions, they had the best of intentions but their actions lacked protocol and guidance. Actions without protocol can have disastrous results. Nadav and Avihu were considered very holy and pious. But the small degree of over-confidence led to their acting without consort. It led to their demise. Perhaps they felt that they were in a position to render judgment without Moshe, or that a little wine may have enhanced their service. Maybe they felt that marriage was beneath them. In theory they may have been correct. But they made decisions without consultation, advice, or consent. They were looked forward to their own leadership — a leadership that never materialized. They had the desire to contribute their own fire, according to their own visions, but the Torah considered it alien. The Mishkan was given to the Jews to atone for the sin of the Golden Calf. It was at the Golden Calf where the young nation rushed to judgment without true guidance. 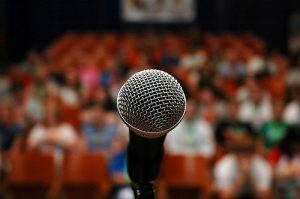 As soon as Hashem felt that the self-directed scenario was about to recur in the Mishkan, He made a powerful statement. It was as if the Mishkan had a nuclear charge. When dealing with high levels of radioactivity, one cannot forego the slightest established protocol. If you experiment with fire, especially an alien fire, unfortunately you get burnt. 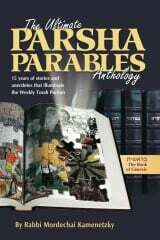 Purchase Parsha Parables – from the Project Genesis bookstore at a very special price!